Enemy is the quintessential recovery record. It is the true, naked and unfiltered story of award-winning songwriter Richie Supa’s life, from addiction to recovery. This emotionally charged record takes the listener on a journey from tears to laughter. The honesty of the content is sure to make Enemy Richie’s biggest hit in an already legendary career that’s produced many hit songs. Enemy transcends genre, other than “recovery music”, blending rock, country, blues, R&B and Dixieland. The common thread through the record is its raw honesty and distinct storytelling. Richie spent 20 years in active addiction while touring and writing. Now in his 28th year of recovery, he serves as Director of Creative Recovery at Fort Lauderdale addiction treatment center Recovery Unplugged, using his gifts to give back to those who are still struggling with drug and alcohol abuse. 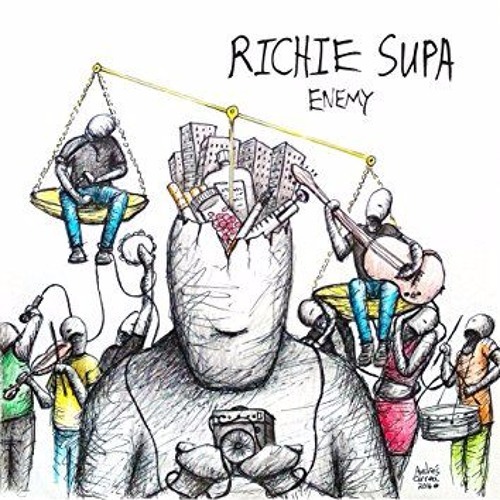 Enemy was inspired by Richie’s work at Recovery Unplugged where he encounters stories similar to his own on a regular basis. His words are inspiration to those who are suffering and to those who are living in recovery one day at a time. Enemy is a work of love and compassion and as Richie always says: “You can’t keep what you have unless you give it away.” Proceeds from the sale of Enemy go to benefit Face the Music Foundation. www.facethemusicfoundation.org.